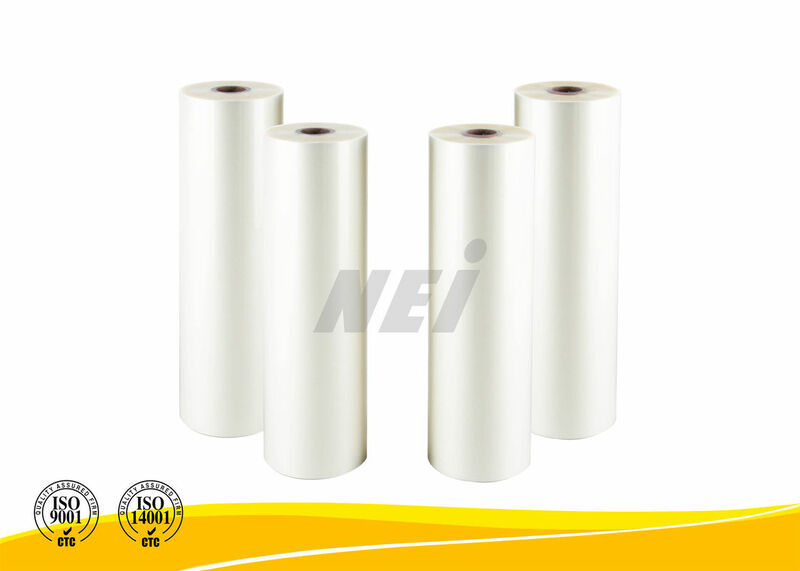 1 inch BOPP thermal lamination film is designed for quick printing shops. Normal sizes including 300mm, 330mm, 360mm, 400mm, 420mm, etc. Other sizes are available upon request. Used to laminate on all types of offset printing presswork and all types of unprinted paper packaging. Examples: note books, photos, albums, shipping bags, show bags, novels, and all types of paper media.